Every business needs IT policies and procedures that incorporate security policies, onboarding new employees and setting up their IT requirements to renewing domain names on an annual basis. Explore the information technology policy and procedure templates available on Way We Do to add to your online Standard Operating Procedures manual and add your own! Whether you have an IT team or simply need to have information technology policies and procedures for the rest of the organization, Way We Do provides initial IT policy and procedure templates for you to install into your active SOP manual. Explore the templates available in Way We Do to install into your manual, and add your own. Sign up to a Way We Do trial today. The IT FAQ template is customizable and contains prompts, answers to common IT questions, and blank spaces for company specific questions. Providing a list of known IT issues and fixes will help your team to handle minor situations and get back to work faster. 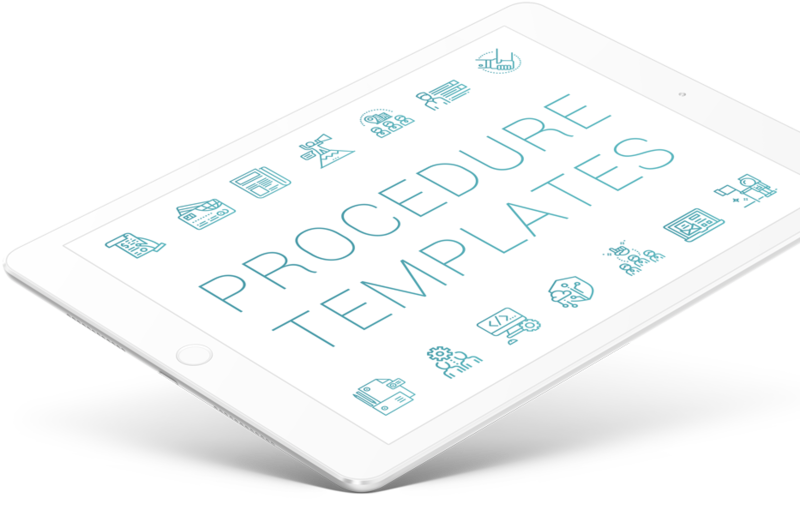 This procedure is a customizable template. This policy is an easy reference guide for IT emergencies including IT hardware failure, POS disruptions, viruses, security breach, and website disruption. The IT Service Agreement Policy from Way We Do provides guidance for entering and managing service agreements. A duties and responsibilities chart is included. The Electronic Transactions Policy from Way We Do provides guidelines for electronic funds transfers, electronic purchases, and authorization requirements. This Website Policy provides general website guidelines and a chart that can be used to assign website maintenance duties to a single person or job title. This IT Administration Policy from Way We Do provides an easy to understand chart that can be used to assign duties to a single person, group, or job title. The IT Security Policy provides guidelines for many aspects of IT security including physical security, information security, access authorization and more. The Bring Your Own Device Policy contains guidelines and information to govern the use of personal devices and protect company resources, rights and information.